Kindle Paperwhite vs. Nook Glowlight: Which One to Pick? I am a certified bookworm ever since my childhood days. Back then, I would stay in a public library or at the bookstore for the whole day to read whichever book that catches my attention. Sometimes, friends would lend me their books. However, carrying books wherever I go is quite exhausting. Gone are those days! I'm very happy that I was able to experience the newest technology at my age now. Just last month, on my birthday, I bought an eBook reader as a gift for myself. An eBook reader is a designated device best suited for reading electronic publications. You can purchase an eBook from the reader’s store or other online retailers such as Google. Some readers can only support eBooks from their store, and some can support publications from other retailers. The cost of the formerly pricy eBooks has reduced drastically over time. 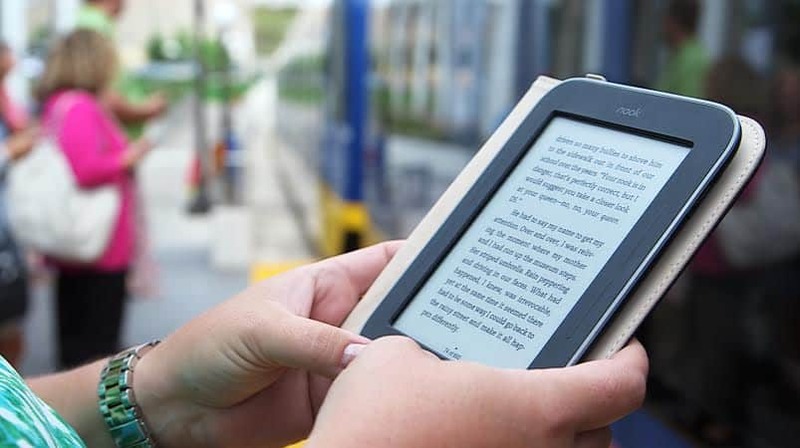 Now everyone is looking into purchasing an ideal eBook reader. If you own a reader that is not the latest generation, you should consider upgrading. You may be content with the services of your reader now, but you will be surprised how a few modifications can make your reading experience better. So, which reader should you pick? You will not experience a tough time when trying to adjust the screen brightness as before or get frustrated when you can’t find the page you last read. Even the size and the weight of the old generation readers can be exhausting to carry around since they are way too heavy to hold for a longer time. 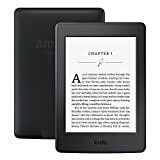 Luckily, the Kindle Paperwhite and the Nook Glowlight have addressed these concerns, and you are assured to be in for a treat with very considerable prices. 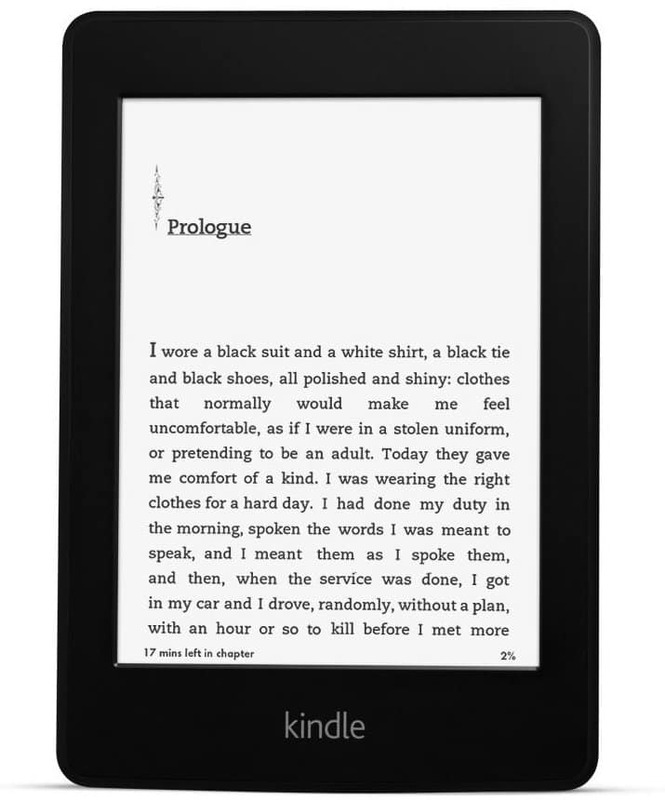 Kindle Paperwhite and Nook Glowlight are the popular devices that have gotten the attention of most people. But still, it will not make sense acquiring both brands at your household, unless otherwise. In this article, you are going to learn the descriptions of both eBook readers and their distinctive features. 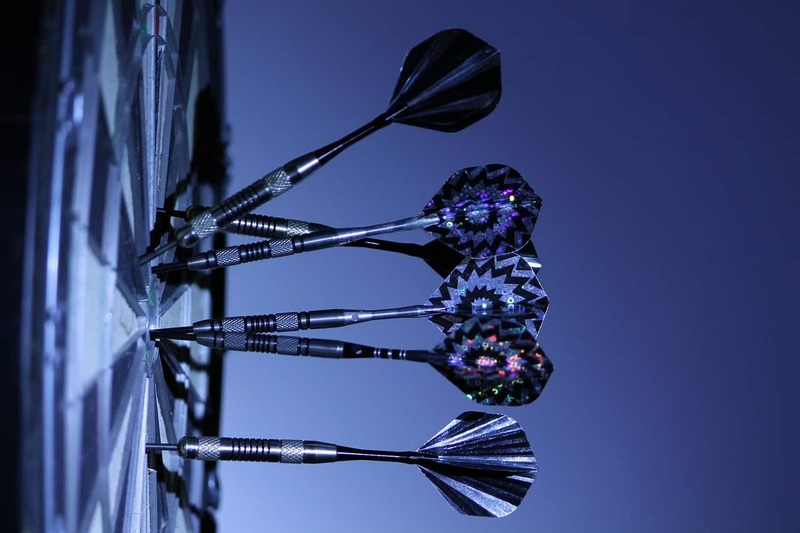 By the end of this review, you will be able to distinguish between the two and finally be able to decide which bet-fits your needs. This as you would expect from us is an EPIC post so grab a coffee before you start and see how we cut through both the products and review them with precision. IF YOU ARE SHORT ON TIME and need to know the results of our reviews , CHECK THE RESULTS TABLE BELOW! The Kindle Paperwhite has improved its resolution status as compared to the previous designs to up to 300ppi display. This gives you an exceptional laser quality for the text. When you are out at the garden, but you are afraid to enjoy an eBook because of the scorching sun affecting your vision, the Kindle Paperwhite gives no glare, and you will have the same experience as if you are reading from paper. 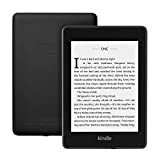 The Paperwhite is very light, and there is no chance of feeling fatigue especially when you have one of those intriguing eBook stories that you can’t stop reading. The Paperwhite can store charge up to 6 weeks if accessed for 30mins in a day without a wireless connection. Even so, if you use the reader consistently, you are assured not to undergo the hustles of charging it all the time. Unlike how the phone can be dreadful to your eyes when using it in the dark, the Paperwhite is integrated with an inbuilt light technology that directs light towards the display rather than shines in your eyes. This gives you hours of comfortable reading even at night. The manufactures of Kindle Paperwhite included the Bookerly technology crafts out the font of digital print for easy reading. Bookerly gives a reader a warm and relaxing feeling when reading an eBook. It derives its inspiration from the artistry of the modern print fonts which makes it possible for the reader to enjoy a print of any font size. Your reading experience will not be distracted by impromptu interruptions such as phone calls, texts or notifications from social media unlike your phone or the standard tablet. This gives you a sanctuary where you can be alone with your reading material and get to enjoy the creative mind of your favorite author. The autosave program for the Paperwhite is complimented with the inbuilt page flip app. The software helps you save your reading pages automatically in case you are flipping through the pages looking for pictures, maps, and charts. Once you see a part of a text you like in an eBook, you can highlight and send it to your email for future reference. You configure whether you want to receive the submitted content in your email as a printable PDF or as a simple that you can open freely in any spreadsheet app. The Paperwhite gives you information on the background of the book, the author and any other details about its series and sequels if available. You can also share your library of eBooks and the linked amazon eBooks to your family and friends. The x-ray option allows you to see all passages entailing similar information of the fictional characters, historical figures, topics and places of interest. You will be able to flip through the mentioned passages when you want to jog your memory without losing track of your progress on the book. If you find something not clear to you, you can instantly look it up while online. The Paperwhite can track how long you take to read a chapter hence determines your speed. This speed record will help you predict the time you will finish the book. 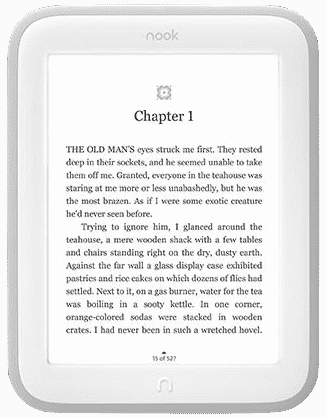 This Barnes and Noble Nook Glowlight has a high resolution with enhanced contrast. Its screen is scratch resistance and is glare-free which lets you enjoy crisper text at any font. Whether you want to read at night or daytime, you will be comfortable. The B & N Nook Glowlight has an advanced Glowlight technology that is always on and disperses light throughout the screen evenly. Also, you customize the night mode manually by adjusting the light projected by the display according to your preference or simply set it to automatically adjust itself to mimic the natural light of the day. The Nook Glowlight is also not, and its soft finish touch makes it easy to grip and hold for a long time. You don’t have to be worried in case you are traveling or when you are out camping since this reader can save power up to 50 days of reading on a single charge. There are a variety of books available in Nook Glowlight reader. You will be spoilt for choices since you can access millions of books that you can quickly add to your library when online via Wi-Fi. When you install the NOOK Reading App which is free to your tablet or phone, you will be able to read your book across all your devices. In fact, you will be able to continue reading right from where you had left off in the previous device. Barnes and Noble have made lots of outstanding models of eBook readers before, and they have maintained their consistency even in their recent products. Their latest generation Nook Glowlight reader has a high density of pixels with a better working brightness adjuster than the previous one. The Product Size (Dimensions) of Kindle Paperwhite is about 6.7inches by 4.6inches by 0.36 inch, and its weight is around 7.2 ounces. It has a screen size of 6 inches with a resolution of 300 PPI. The capacity of storage for Kindle Paperwhite is 4gb. On the other hand, Nook GlowLight is 6.4inches by 4.7 inches by 0.34 inch and weighs 6.9 ounces. Its screen size is similarly 6 inches with a resolution of 300 PPI. The storage capacity of Nook GlowLight is also 4gb. Although the two readers have the same resolution, the screen for Paperwhite is glare-free facilitated by the inbuilt light which can adjust to the surrounding light. With the GlowLight, you will find an anti-glare screen protector that is adaptable to any light settings. The battery life for both eBook readers on a single charge is 6 weeks. From the above head to head comparisons, you can see the fair contest between the two devices. Both eBook readers support Wi-Fi connectivity and are available on Amazon. Nook GlowLight costs slightly higher than Kindle Paperwhite. However, despite the high cost of Nook GlowLight, it has the upper hand because it is dustproof and waterproof at the same time. Both devices pose different unique features that are beneficial to you. For instance, the x-ray and Bookerly in paperwhite improve and simplify your reading experience. And the Nook GlowLight supports EPUB books, unlike paperwhite which can’t allow such eBooks from online retailers like Google and Sony. When paperwhite allows you to browse the web, you can’t enjoy this luxury with the Nook Glowhite. You have to consider what feature works best for you and which you can compromise for the sake of such elements. The Nook Glowhite has more than 3 million eBooks available in its library while the Paperwhite has only 2 million. You can see that the Nook edges out the paperwhite on this sector. Apart from the product cost of each reader, the covers and the casing for both are purchased separately. The cost for the Kindle Paperwhite cover is $39.99 while the Barnes & Noble Nook GlowLight cover goes for $24.95 in Amazon. You should also note that the Kindle Paperwhite reader comes with ads. You are required to pay $20 more to attain the premium that has no ads. The product cost for Kindle Paperwhite is a few dollars less than the Nook Glowlight reader. However, the total cost of the cover and the premium package of no ads makes it more expensive than the Nook. These two readers are both incredible and reasonably match. All in all, you have to choose one. I wouldn’t take sides, but I would highly recommend you go for a reader with the best value for your bucks. If you think the $10 cost difference is a factor, you can go for the Kindle Paperwhite, and that is if you will not be bothered by the ads. But then, if you want a reader that you can use anywhere even when you are on a floater in the pool without the risk of water affecting the device, you should go for the Nook Glowlight reader.